Asset Protection Audit - Have You Had Yours Yet? Home » Blog » Asset Protection Audit – Have You Had Yours Yet? 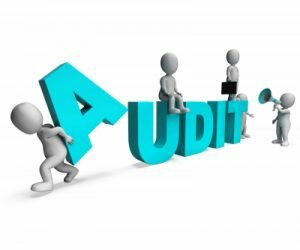 Asset Protection Audit – Have You Had Yours Yet? Whether you’re a business owner, a home owner, about to retire or receive an inheritance you’ve got something worth protecting. But if you’re not actively thinking about asset protection you could be making some big mistakes. Most people put far more effort into acquiring their wealth than protecting it. Unfortunately, there are more things than ever that can put family and business assets at risk. Here’s an example – let’s say you want to give your adult child money to buy their first home. How can you ensure that the property is not going to be at risk in the future? What if your child gets into financial difficulties or becomes involved in serious relationship problems? The property and the money you’ve given to help your child to buy it could be at serious risk if a former partner or creditors have their eye on it. Another example – An older couple who agree to sell their home and use the sale proceeds to buy a property jointly with other family members so they can all live together. It’s an arrangement that can have many advantages but if the family relationship goes sour there could be financial loss and other major consequences for both sides. Business owners also need to consider the potential risks to their personal assets if their business venture suffers set-backs. Insurance might not cover all the situations leading to financial loss. What is an asset protection audit? The most dangerous kind of risk is the one we don’t know about. But if we are aware there could be a risk we have the chance to act before it happens. That’s the purpose of an asset protection audit. Develop a plan – Through an asset protection audit you can identify possible risks and develop a plan to protect your assets from the impact of things going wrong. An asset protection audit will also help to identify whether certain types of asset protection are in fact suitable for you and your family. Not all arrangements are advantageous for saving tax or avoiding care fees and need very careful consideration and some should be avoided altogether. Some companies sell pre-packaged asset protection schemes using slick sales techniques, especially targeting elderly people. There may be hidden extra costs involved or the products they are selling may be too rigid or even completely unsuitable for everyone’s situation. We offer impartial, independent advice. Do you have to be wealthy to need an asset protection audit? The simple answer to that question is no. Everyone has something worth protecting. People with smaller amounts of savings or modest property or pension assets are just as much in need of an independent asset protection audit as people with more assets because the impact of the financial loss, to them and their families, can be greater than for people who are cushioned by more substantial wealth. Anyone can benefit from an audit of their situation. That’s why we are offering a half price asset protection audit * for a limited period only to all new members of BE My Own Lawyer. To take advantage of this special offer complete the form below quoting ‘Asset Protection Audit Membership Offer’.